Hey, we agree. Mid-October is not quite the time to buy Christmas presents, since the Christmas sales haven’t begun yet and there is every chance that if you buy something now, you’ll find it later for a much cheaper price. And that’s not fun for anyone. We do think, though, that now is the time to come up with ideas for Christmas presents for everyone on your Christmas list. Sure, there are some Christmas gifts that can be purchased the night before, but gifts for the most important people in your life require some thought and planning, especially if there is any element of DIY involved. 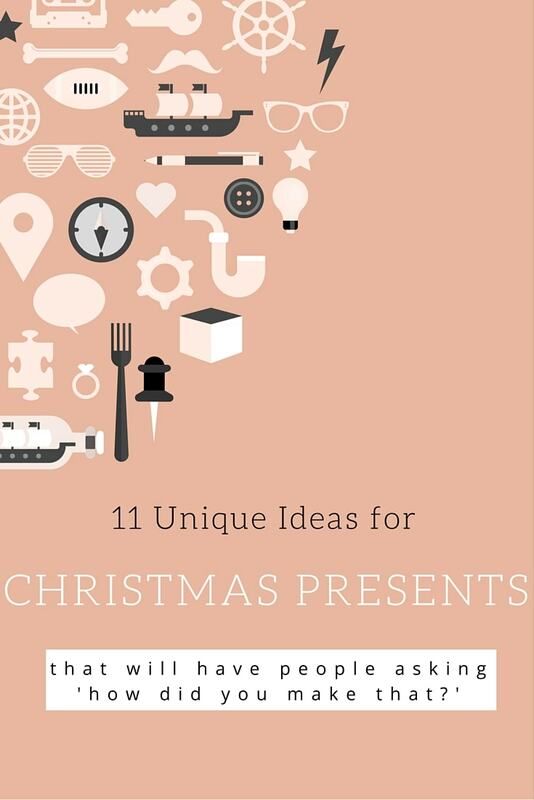 To help you to shortlist your ideas for Christmas presents for your family and friends, we’ve searched for the most unique Christmas present ideas we could find. We hope you’ll find some inspiration here! 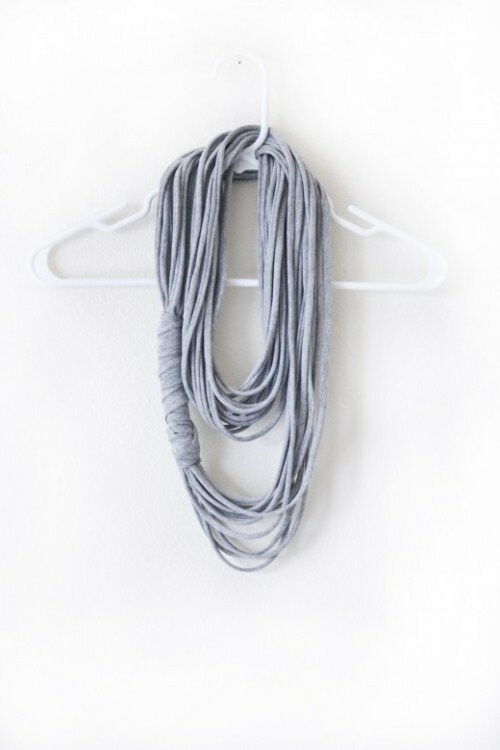 If you’ve got a fashionista on your Christmas list, try your hand at making them a unique multi strand scarf that you can guarantee they won’t be able to find in any store. The reason is that you will make it yourself from an old, oversized T-shirt. The DIY instructions are easy as pie and you won’t need any special equipment to get the job done – just a pair of scissors and a ruler. This gift is as clever as it is practical. 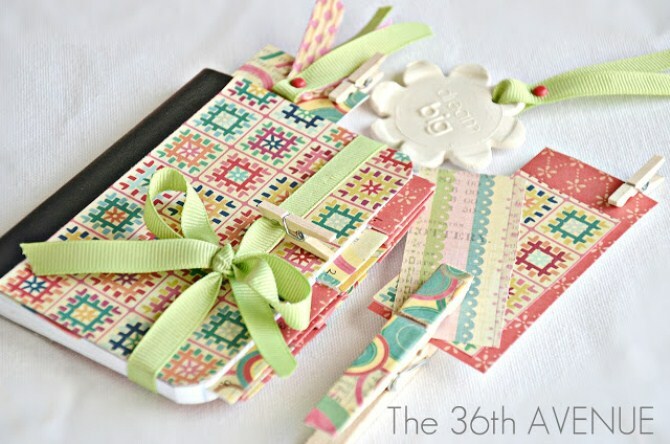 The basic idea is to find an antique hardcover book with a funky cover from a second-hand bookstore or garage sale, remove the pages, and then add strips of elastic to create various sized compartments. 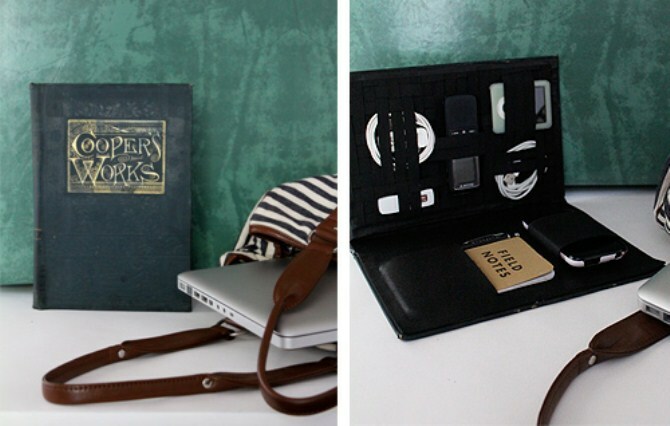 The end result can be customised to suit the specific gadgets that need to be contained. 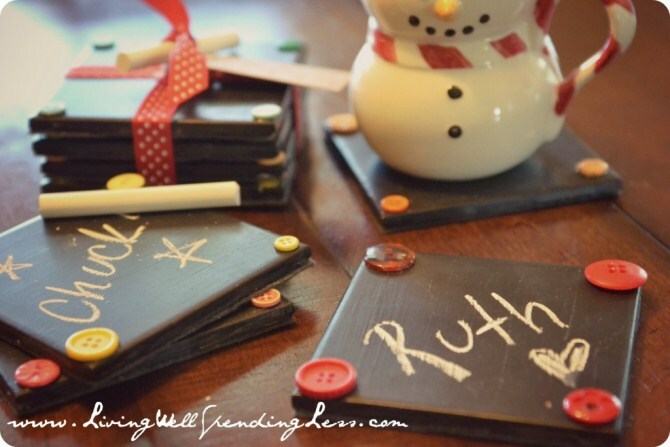 These chalkboard coasters would have to be some of the simplest DIY Christmas gifts we’ve seen, but just keep in mind that you’ll need to allow several days for your project to dry before it’s ready to wrap. We’ll admit you may receive some raised eyebrows while your gift recipient tries to work out what on earth it is you’ve given them, but once they realise that they can now personalise their coasters as many times as they like and that no one will ever again confuse the drink with someone else’s, they’ll be hooked on the idea and will be asking you to spill your DIY secrets. It’s up to you whether you fess up about just how easy the project was. 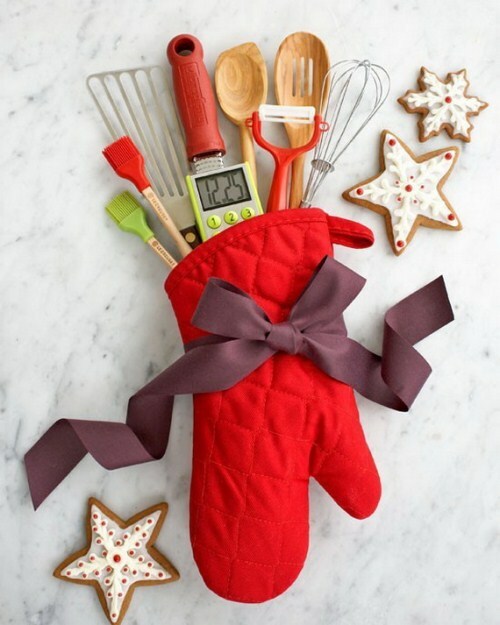 If you have a first homebuyer on your list of Christmas gift recipients, they will love that you took the time to put together this kitchen kit. They’ll have everything they need to stock their first kitchen, and it will all match, too. 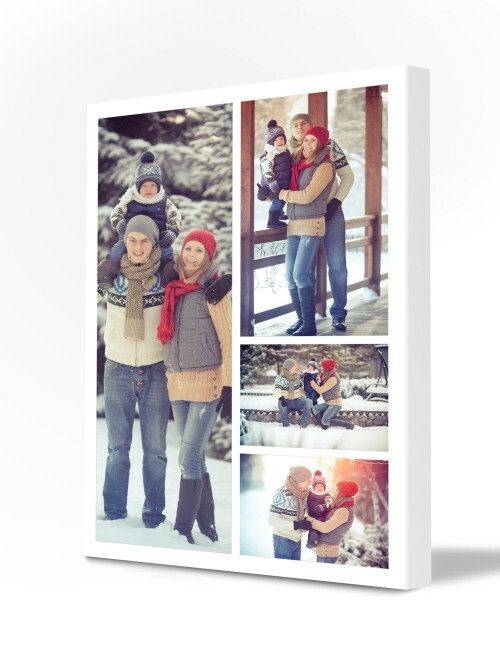 For a DIY Christmas gift with a twist, go hunting for the perfect set of photos and then have a photo collage professionally printed on canvas. A canvas collage the perfect unique Christmas gift as it clearly involved careful thought and planning, yet unlike other DIY gifts, your gift recipient will receive professional quality artwork ready to hang on their wall. The only tricky part is deciding which photos you’ll choose. Will you focus on one particular happy occasion; your favourite memories from a year; or a lifetime of memories? If you can work a sewing machine (just basic skills are required, we promise!) 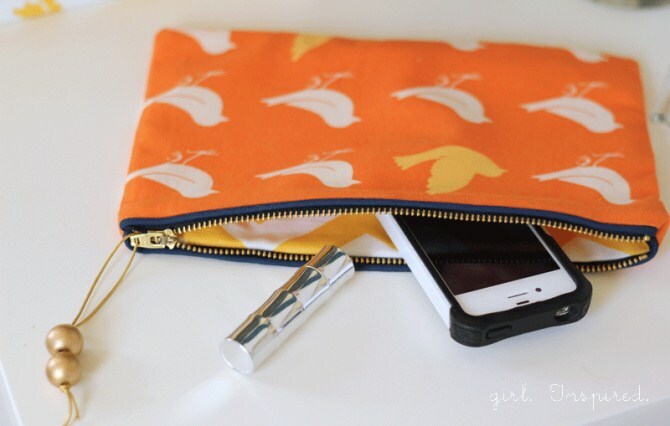 then you will be hooked on making these easy-sew zippered clutch purses. As the tutorial itself explains, these little purses are just so handy, especially if you make them large enough to hold a phone. And with an almost unlimited selection of fabrics to choose from, you’ll be able to customise your projects so that everyone receive a unique and personalised gift, even though you simply followed the same instruction set multiple times. Isn’t it funny how the best ideas are often the simplest? 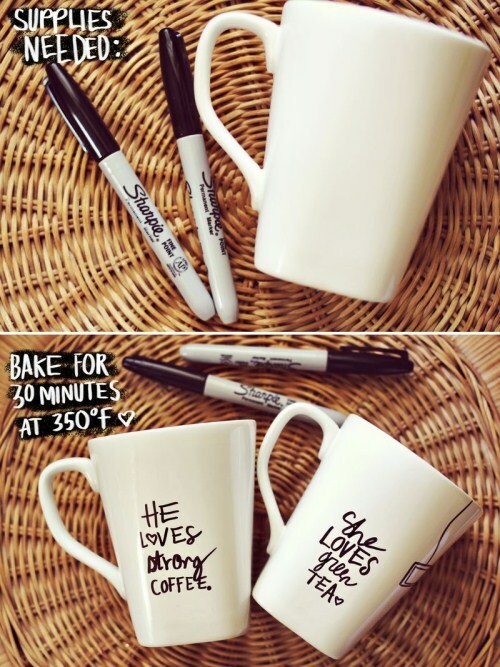 It seems obvious to buy a plain mug and decorate it using a permanent marker, and not only is the process simple and inexpensive, but the end result is very effective. It’s one of those gifts that could easily turn out to be the recipient’s favourite gift, simply because it’s quirky, completely personalised, and very practical. Are you looking for a Christmas gift for someone who owns a smartphone? Just kidding: this is 2015 after all, so it would be strange if you were looking for a Christmas gift for someone who didn’t have a smartphone (small children excepted, of course). 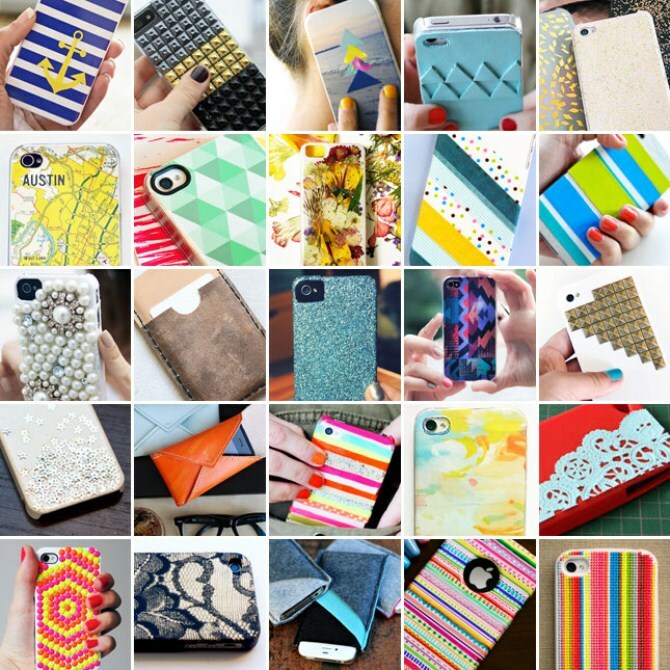 There are oodles of different smartphone case design ideas here, and they’re all simple to make and fun to experiment with. Journalling is more popular than ever, with books like The Artist’s Way and other mindfulness techniques showing people how beneficial it can be to express their thoughts on paper. The same DIY techniques can also, with a few tweaks, be used to create a gratitude journal for anyone who is into the law of attraction and reading motivational books. I don’t know about you, but personally I’m partial to a nice pair of slippers. These handmade felt slippers look so comfy that I’m wishing I had a pair of them right now. By simply choosing slightly funkier colours than shown in the example (no offence, mottled grey) you will be able to market these comfy slippers to almost anyone on your list. You can make DIY lip balms: really? According to Martha Stewart’s website, yes, and they’re relatively simple to make. You’ll need a few supplies before you can get started – such as metal pots – but if you’ve got any number of teenage girls or young women on your Christmas list, the initial outlay will very quickly be justified. We hope you’ve found some inspiration for unique Christmas presents for everyone on your Christmas list. And when you’ve got the whole family assembled under the Christmas tree first thing on Christmas morning, make sure you take the time to snap some photos of the family enjoying each other’s company, then have it professionally printed on canvas. It can be your own little Christmas present for yourself.